The Asian Golden Weaver was formally named by Anders Erikson Sparrman, a Swedish naturalist. Although Sparrman sailed around the world with James Cook, starting from Cape Town, on Cook's second expedition to the Pacific (1772-1775), they did not visit islands as far north as Sumatra. After the voyage Sparrman returned to Cape Town in July 1775 and practiced medicine. In 1776 he returned to Sweden and published a Catalogue of the Museum Carlsonianum (1786-89), in which he described many of the specimens he had collected in South Africa and the South Pacific, some of which were new to science. He wrote a Latin description of the Asian Golden Weaver. Sparrman described and painted the Asian Golden Weaver, and listed the collector as Claes Fredrik Hornstedt, a Swedish naturalist. Hornstedt visited Batavia [=Jakarta] in Java from July 1783 to July 1784. He returned to Sweden with a large collection of natural history objects. In Sweden he replaced Sparrman as curator of the museum of the Royal Academy of Sciences (KVA), Stockholm, in 1787-88 (Rookmaaker 1989). Rookmaaker suggested that Hornstedt did not visit Sumatra, but received specimens from local collectors, even though he presents no evidence of this and Sumatra is relatively close to the adjacent island of Java. 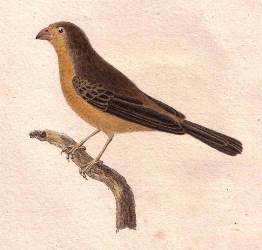 Latham (1801) noted that a bird was brought alive from Sumatra and kept by Count Carlson (in Museum Carlsonianum). Loxia hypoxantha	Sparrman 1788	Mus. Carls., fasc., 3, p.71	Sumatra. hypoxanthus (Greek) = hupo-, beneath; xanthos, golden or yellow [ie underparts golden]. 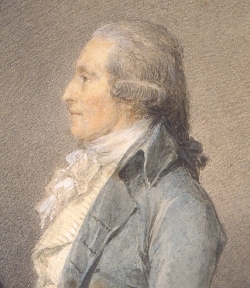 1783-84, when Hornstedt lived in Java. No type specimens known to survive, but the painting of Sparrman serves as a type. Identification. The Asian Golden Weaver Ploceus hypoxanthus is a Near Threatened species. 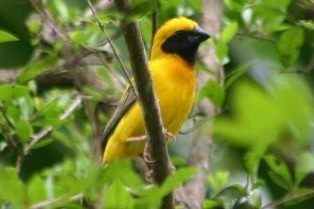 The breeding male is generally bright yellow with a black mask (diagnostic in Asia). 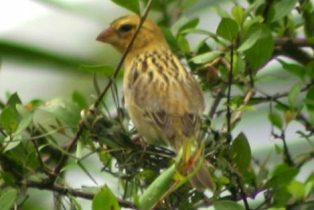 Females, non-breeding males and young birds are dull coloured and difficult to distinguish from the Baya Weaver, but has a thicker bill. 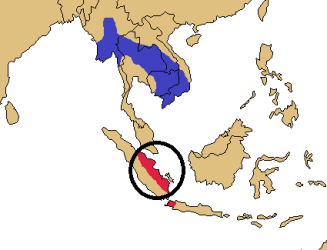 P. h. hypoxanthus, found in Indonesia: eastern Sumatra and western Java (see red on map). P. h. hymenaicus, found in Myanmar (including Tenasserim), Thailand, Laos, Cambodia and southern Vietnam (see blue on map). This subspecies has the feathers of the mantle fringed with a more greenish yellow, and has the upper breast more strongly suffused with raw sienna. The Asian Golden Weaver was formerly more widespread in Sumatra and Java, but is now localized and uncommon. Its population is showing a continued decline throughout its range as wetlands are converted to agriculture. There is also direct persecution and capture of these weavers for the bird trade, and colonies are often robbed and destroyed by people. The oldest bird is 11 years (see here). Habitat. The natural habitats of the Asian Golden Weaver are subtropical or tropical seasonally wet or flooded lowland grassland, swamps, and arable land. Food. The Asian Golden Weaver feeds mainly on seeds, and even during breeding insects were only 7% of their diet. Breeding. The Asian Golden Weaver is apparently monogamous, and perhaps occasionally polygynous. It breeds in small colonies. The nest is initially built by the male, and completed with assistance of the female. The nest is a rounded structure with a side entrance, and woven from thin strips of grass or palm leaves. Nests are firmly attached to vegetation over water or very swampy ground, often less than 1m above the surface, usually in reeds or bulrushes. Sometimes nests are placed in trees or shrubs, and then higher than 2 m above the ground. There are several records of nests built close to hornet nests or near biting ants. The clutch is 2 eggs, rarely 3. Incubation seems to be by the female only. Chicks are fed mainly by female (most often by regurgitation), and rarely by the male. There is no infomation on incubation and nestling periods.